In 2017, it is considered standard operating procedure for a restaurant to offer online ordering via their website or a mobile device app. Many customers are actually surprised when they search for good local food online and discover an establishment that doesn’t yet offer online ordering. The savings in time alone for both staff and customers is reason enough to establish an online ordering system, and statistics show that customers order an average of $4 more per ticket when they place an order online. 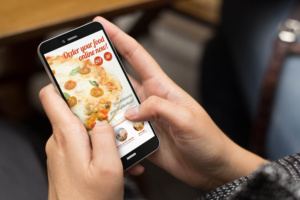 If those aren’t strong enough reasons for you though, here are a few more very good reasons why your restaurant needs to start offering online ordering for your customers. If you are running a restaurant you more than likely already have a website. After all, how else are people going to find you from their smartphones and via web searches, right? Phone books are used to help prop up uneven table legs, not find good places to eat, and the best restaurant guides are all digital now anyway. When you add onl ine ordering and make it a prominent feature on your website, you are adding value to that digital real estate you already possess, and offering higher quality service to your customers. With an online ordering system right on your site, customers can put in an order as soon as they discover you, and then drop by to pick up the order when it’s ready. You are expanding your marketing reach and bringing new business in with just a few minor changes to your existing site structure. Today’s working professionals are always looking for places that will prepare meals in advance for pickup at a predetermined time. This allows them to manage their time more efficiently, and in many cases feed their families a delicious meal that isn’t fast food or takeout. Setting up online ordering with advance orders is giving your customers the gift of extra time and less worry about what they are going to fix for dinner for themselves and others when they get home. It also provides a major boost to your business, and makes you a valued ally in helping working parents give their kids the best. One caveat though, make certain that in your app or on your website that you very clearly distinguish advance orders from online pickup or delivery orders so that customers end up using the right system. Otherwise, you frequently have customers who put in a pickup order for that night when they really want an advance order for Friday. Customers who keep coming back to your restaurant are generally ordering the same thing every time. It’s normal. People like routine and they like getting something they enjoy every time they visit. Configuring your online ordering system to accommodate repeat orders is an excellent way to help customers quickly order what they want without having to re-enter the same information every single time. Obviously, if they want to try something different or add additional items they need to be able to do so, but allowing customers to save their regular order makes life easier for you and them, and they will tend to choose your restaurant over others in the future because you already have their favorites in the system. So long as you maintain the quality of your food and service, you will see this repeat business with regular orders grow. 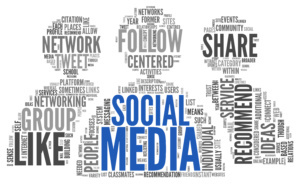 Using social media buttons and making menu items sharable via social media allows customers to expand your reach across social media with zero effort on your part. It also allows friends and loved ones to see exactly what someone enjoys. For example, let’s say a man is dating a woman who orders frequently from your establishment. He sees her share her favorite meal and dessert online after ordering one time, and she raves about how much she loves your food. This smart guy files this information away for later and decides to make a romantic surprise of her favorite order at random sometime in the future. Not only have you now added a customer, but you are also generating narratives about your establishment that give people a personal connection to both your food and your restaurant. That’s the kind of publicity and recommendation that money can’t buy. longevity. It’s not a fad, and it is definitely not going away anytime soon. The general public is expecting online ordering more and more from their favorite places, and those restaurants are either going to adapt to customer expectations or see a decline in business. Make the smart move and look into adding online ordering for your restaurant today.